Was so thrilled to help Sara and Jeremy with their wedding celebration. We had a great time planning, pulling the vendor team and vision together, gonna miss them!! Sara wanted elegant and calm, think we nailed it!! Vendors we love: Karla/Elegant by Design-florals, TMMPRO-dancefloor, Chiavari chair rentals-draping of rotunda, McCune Photography – but the pics above are mine, fyi everyone, lol, Design Visage-Sara and the girls all looked fabulous all night long, Monico Décor-napkins&chiavaris, and of course our team at Pelican Hill Resort, excellence doesn’t even begin to describe how you all are. 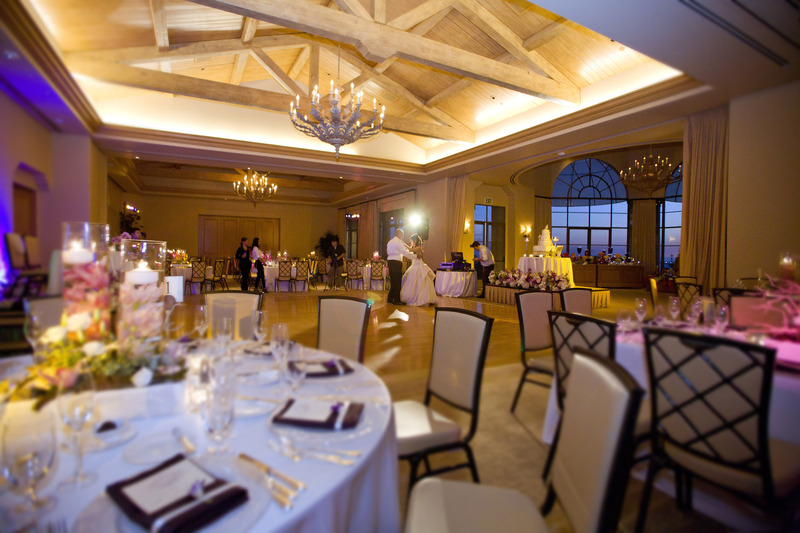 This was an intimate celebration for 25 at the fabulous Pelican Hill Resort. 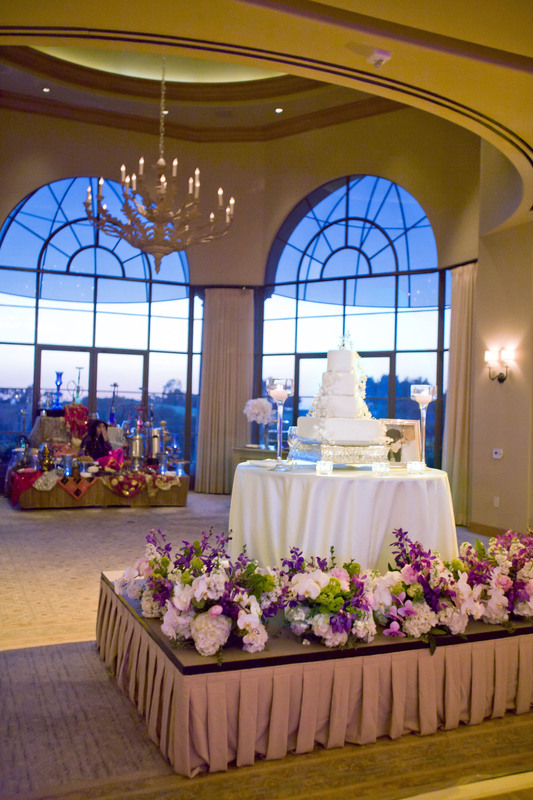 Karina had a great vision and between Chiavari Chair Rentals/Steven, who hung a gorgeous chandelier and did the draping of the rotunda/cere and inside La Cappella and provided the chiavari chairs of course as well as my fave the white dancefloor (due to how it transforms a space), and Karla/Elegant by Design’s florals at the cere site and then inside along with the candles created a dreamy/romantic atmosphere. We had a bi-lingual dj from Vox which worked well with this group as there was a large contingency of Columbians that had flown in, present, they also did the lighting. All the ladies were beautified by the fabulous ladies of Design Visage. Such a fun/fabulous wedding, the dancefloor was full from beginning to end. Thanks to the wonderful team at Pelican, a 6 star celebration was experienced by all. It was a pleasure working with you. as. I would have spent my time sitting on the sofa enjoying the fireplace, it was January and looked so lovely and cozy. Well I had the pleasure of working with George (has now moved on to do great things with a property in LA), Fran, and the team at Pelican (have known them all for years as they all came from the south county hotels I am fortunate to be at a lot) again, for another celebration early in the year. This couple came to me closer to the wedding date with all their vendors in place, the vision and most of the details handled. 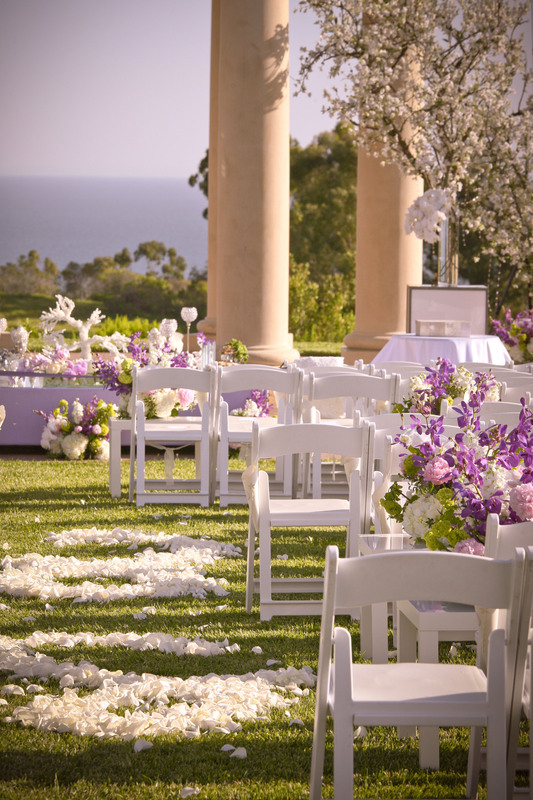 My job was to ensure they had crossed their ts and dotted their i, and run the rehearsal and wedding day for them so they could relax and enjoy the fruits of their planning. Thanks to Irmina for the photos. Sometimes I find a gem of a vendor through a bride, and this is one of those occasions. Irmina was 8 months pregnant, but came and ran around from location to location, kicking off her shoes to take photos from various perches during the night, and was just soooo nice, that I have referred her ever since, and look forward to working with her everytime. Her passion and enthusiasm is contagious. Well that was so much fun, I’m going to blab on again. Was fortunate to be one of a group of co-ordinators from all over the US and some from Mexico that did some site visits with the NH Hotels, in Cancun and Puerta Vallarta. NH is not a brand we know about here in the USA, they are major in Europe, especially Spain, and have a lot of properties in Mexico. Their property in the hotel zone of Cancun has the most beautiful ceremony backdrop ever. 7 tall Mayan (or they could look Greek to some) columns on a curved platform with that gorgeous blue Mexican Caribbean ocean in the background. Wow. A great location for friends/family to have all the fun they can handle at the typical bars the tourist cities of Mexico are known for, you know the ones, they are all close by, lovely pool area to relax at and views from the hotel down the whole 25 miles of zone. We actually stayed at their resort property which is located between Cancun and Playa de Carmen. This would be a great place for the guests who are tired of the partying up around hotel zone to move to to now have the peace/quiet and nothing to do but relax and drink cocktails quietly. The beach is lovely and very swimable, and they have a nice pool area. 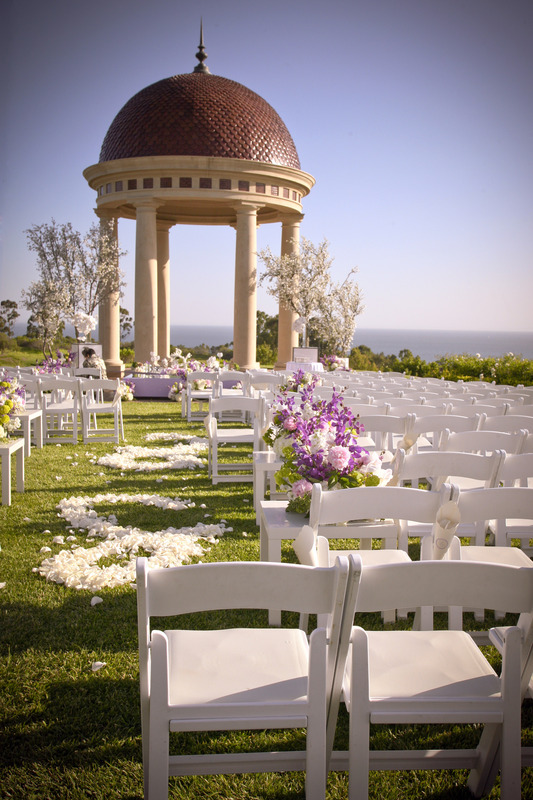 They also have some great ceremony site areas. The rooms are great, bed on upper area and step down to the living area/balcony. Beautiful bathrooms and nice big bath with a window that for me looked right out to the ocean. The nice thing with either property is that you can make them all inclusive of food & beverage with your rates if you want. After we had come back and had a few months of wedding season, we got to see their property in Puerta Vallarta. Very old world charm Mexican style, yet they have a brand new tower that we stayed in that had great views of the bay and was right on the beach, very swimable. The spa was cute and we were there at a quiet time and were getting treatments for unbelievable rates, so most of us went more that once, but in order to ensure some ladies don’t get in trouble with their husbands, I say no more. Because there was only the one property there they had a bit more time to treat us to experiencing the area. I have been to Puerta Vallarta a couple of times previously, but I saw more in the few days I was there this time than in the other two trips combined. We ziplined, not just one, not just two, we are woman hear us roar, but 13 ziplines!!! After the 2nd one you chose to stop or keep going, as you were moving higher and higher from that point on. All but two ladies who had health issues did the first two, then only 1 who was deathly afraid but did the first 2, moved on. Some did the next 11 with their eyes closed, some got gutsy and went down with one of the cutie young guides who held them which allowed them to hang upside down, not me and there are no pictures to prove it either!!! Some of the ziplines we were a thousand feet above ground so high, you could see back to the bay/ocean, some you whipped through jungle, just brilliant. The 2nd to last one took you down and over the river nice and low and you ended up on a platform in the middle of the river and the last one you went from the platform very low over the water to the river bank, so low you could have your feet or hands or head in the water, depending on which way you were hanging, and at this point some people were totally bored with the normal way and were being very ambitious. One night we took a boat down the whole coastline to a property that John Huston the director had bought during the filming of the Iguana movie with Richard Burton. The owners now have turned it into a Mayan theatre that does a show after dark using water/fire and it was really lovely, then you eat a great meal, all the while on what feels like an island lit only by fire torches and candles, very romantic for those on there honeymoon, and just a great experience for everyone else. Ok, a couple more weddings to chat about. Loved and enjoyed this couple. Ron is a very busy businessman but was still able to be very involved in decisions that were being made, even with I think visiting about 5 different countries for varying amount of time in the few months we spent pulling it altogether. Andrea is English and the most enthusiastic, happy to be marrying the man of her dreams, and thrilled to be getting married at a location that was so special to them bride you may come across. They live up the road from the resort, and eat dinner and enjoy the views from the bar a lot, so they even requested their favorite bartender from the bar at the grill be the bartender at their wedding, and as the resort is there to please, he was!! Andrea was often at the resort envisioning how things would look, seeing what others had done, what else she could do to make it more personal to them. The staff at the resort were very used to seeing her around and appreciated her love for the property that they all love also. People came from all over the world for their celebration. A Gelato station was very popular later in the evening, and enjoying your gelato in the lovely courtyard with the fireplace on and the fountain running, just made it perfect. It was really beautiful from beginning to end and so nice to see a couple really get to enjoy their event also. Music for cere/cocktails and dinner/dancing provided by Essence Entertainment. Officiant was Bruce Danzara. Gorgeous florals by Chris Lindsay. Jeff from Moondance for the djing, Tomoko the harpist for cere & cocktails, chaircovers by Fusion and florals by Amanda/Fantasy Florals.